Enhance your coffee experience with this Classic glass coffee maker with cover and 200 count bonded unbleached pre-folded square filter set from Chemex. The borosilicate glass coffee maker has a polished wood collar with a leather tie and allows you to make coffee as strong as you like without bitterness. Simply place coffee in the filter inside the coffee maker and pour in boiling water. Use the included dishwasher safe cover to keep coffee at the proper strength by preventing evaporation. Made from durable paper, Chemex filters are 20-30% heavier than competitive brands and permits the proper infusion time by regulating the filtration rate so that it is not too slow and not too fast. These filters provide uniform extraction since the water filters through all the grounds on its way to the apex of the cone. Guaranteed not to burst under the weight of the liquid during filtration, and not to break when lifting out the grounds, these filters are disposable and convenient. 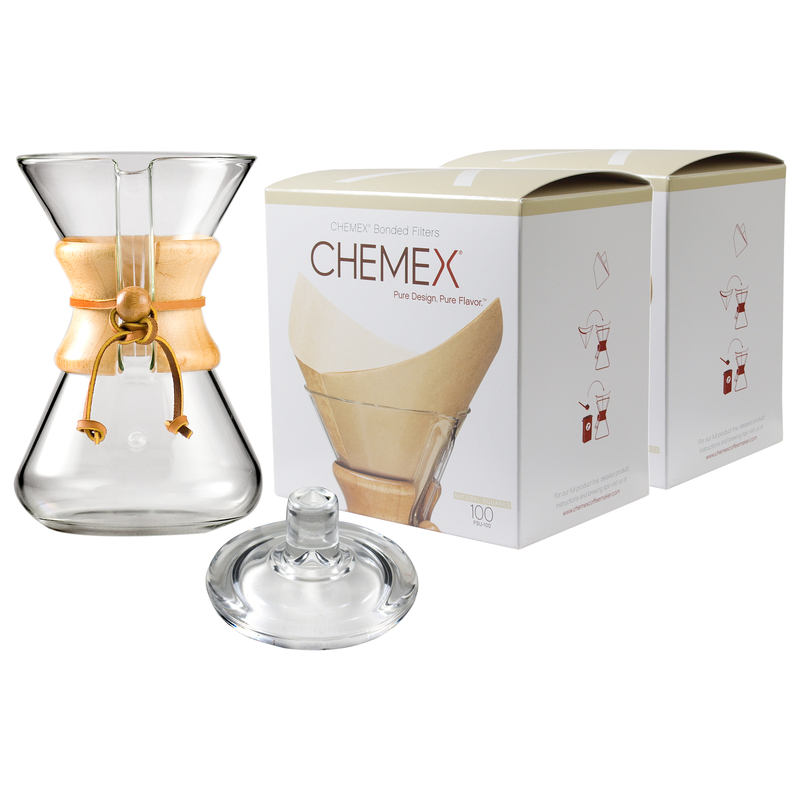 Made in the USA, these glass coffee maker accessories from Chemex are the perfect addition to any kitchen.